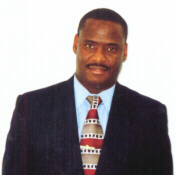 Hello, my name is Arthur D. Hunt and I am the founder of AAB Tax and Financial Service. I grew up in Arkansas and went to college at the University of Arkansas at Pine Bluff and earned a Bachelor of Science degree majoring in Accounting. Upon graduation I entered the United States Army as a Finance Officer and served active duty for four years. Since then, I remained in the Army Reserve and obtained the rank of Lieutenant Colonel. I was privileged to serve as Comptroller of the Office of Military Affairs in Kabul, Afghanistan overseeing an $849 million budget in my most recent tour of duty. I’ve since retired from the Army in 2008. Most recently I have completed my graduate studies earning a Degree of Master of Business Administration (MBA) from the University of Phoenix. I will continue to provide professional and efficient service in the Tax Business. Additionally, I am a Financial Analyst that provides excellent service in the world of Insurance, Financial and Retirement Service. AAB Tax Services first opened it's doors to serve the public in July, 1994 in the Dallas Fair Park area. Our office remained in that area for over 17 years. In November 2001, AAB Tax opened it’s second location in Cedar Hill, TX. In October 2011, the decision was made to consolidate to one office location to serve you best. Currently, we are located at 316 W. Beltline, Suite 201 in Cedar Hill, TX. We are actually located at the intersection of Uptown Village and Beltline (Hwy intersection at Beltline and Highway 67 for easy commute). Prior to this business endeavor, I worked in Corporate America for twelve years as a Chief Accountant for the State of Texas and Murduck Engineers. Providing efficient and professional service is our goal at AAB Tax and Financial Service.